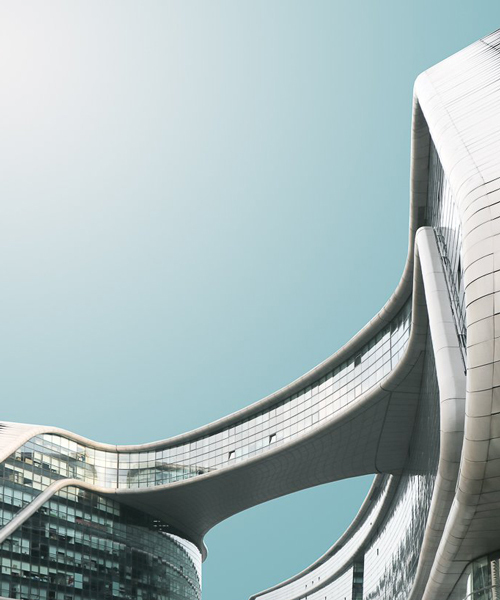 exploring the possibilities of china — the country, which significantly developed over the last decade —, belgium-born and asia-based photographer kris provoost reflects on the new architecture in booming second-tier cities. following up the previous ‘beautified china I’, the ‘beautified china II’ photo series of iconic buildings designed by famous architects, such as kengo kuma, zaha hadid, MAD, GPM architekten and others, aims to understand how to find a compromise between preserving the rich heritage of the country and keep on developing contemporary destinations. the foreground of provoost’s series are shape, color, and pattern — the elements every architect has to deal with daily. the images show strong contrasts between shapes, but perhaps even more between different cities.